Have you decided on your domain name? Should you choose .co.uk or .com? Have you already purchased your name? Whatever stage you are at with your domain name we can help you. We will take all the pain out of the various stages of setting up the domain name, as well as being able to offer you advice on the best name to use for your site. We do not make any profit on the purchasing of domain names for you. 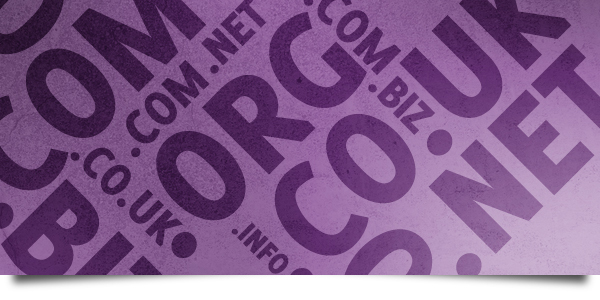 Our .com domains are £10.99 per year, and .co.uk names are £3.49 per year. Other domains are available on request.